The instrument is in very good condition and has only been lightly used before the owner upgraded. 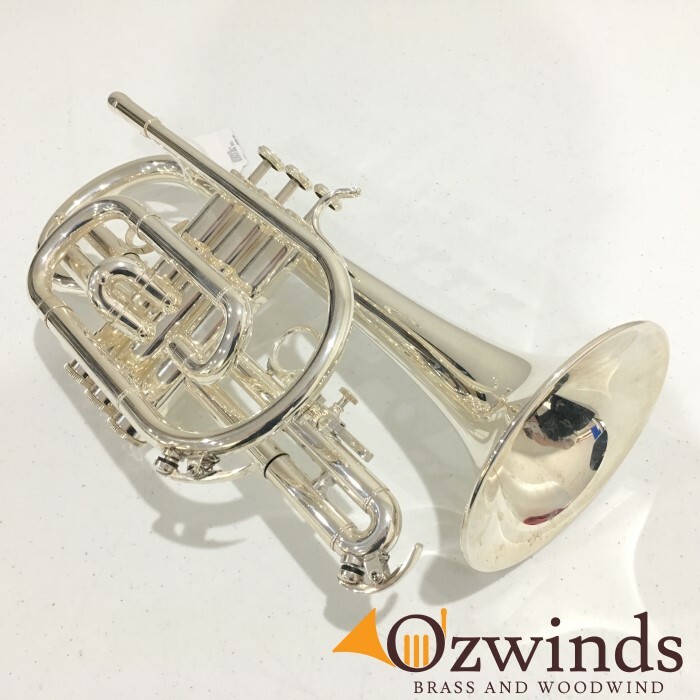 The cornet plays freely and with a sweet, light tone. Valves and slights are smooth and fast! This would make an ideal horn for the student or enthusiastic hobbyist. Comes with case and mouthpiece. This item is available in our Moorabbin store. If not happy with your purchase, return as received for a full refund less any freight costs. Phone 03 9578 3677 for further details.